Club recommended retailers are those that have supported our club with event sponsorship or offer discounts for our members. Members are always directed towards supporting our recommended retailers. 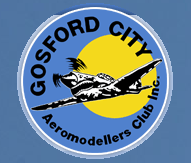 If you would like your hobby business or company listed on this page please contact our Club President.